The strict legal requirements in Germany for water filtration were the basis for this development, and nature was used as the model. Nothing can ever be as natural or as pure as water filtered through natural elements such as moss. Moss was the inspiration for the unique �DyFix�� system. Research carried out in cooperation with the Georg-Simon-Ohm University in Nuremberg have shown that FIBALON� adheres to the German strict requirements, even through periods of high water pollution. Because so many particles were suspended in the filter system, there was no visible turbidity in the water remaining, only clear water. The water clarity remaining when using FIBALON� therefore is equal to the German legal limit for water clarity. 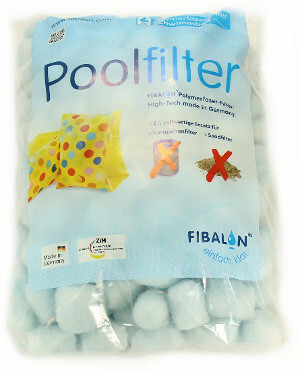 The result of this is crystal clear water, with no need for the addition of a flocculent as a filter aid.